With a diameter of 29 mm and a length of 148 mm, the pliable PVC squeeze grip bellows switch may be grasped, pressed or folded to provide an alternative light-touch air actuation method where standard dome-type bellows or pushbuttons are not practical. 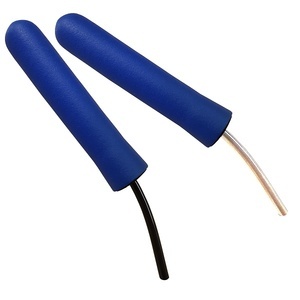 The Series is available, as standard, with a blue grip and a choice of black or clear 2 meter connection tubes with a 4 mm spout. They are ideal for use with Herga´s 6871 and 6872 air switches which are available with all major European approvals as well as in UL and CSA approved versions. The range offers back or side entry spout and a choice of latching or momentary SPCO and DPCO relay action for AC and DC voltages.